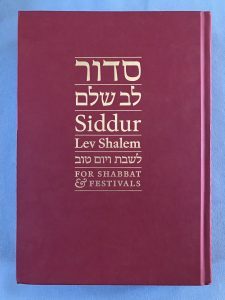 CSI has a wonderful new Siddur, Lev Shalem, that is replacing Sim Shalom for Shabbat and Festivals services. The new siddur has beautiful commentary, poetry and prose that will add to the liturgy that is familiar to us. The language is modern, very inclusive and not gender specific. If you wish to have a book plated in memory or in honor of a loved one or friend, the price is $50.00. Please call Stephanie at the office and let her know. There are some siddurs available for purchase for personal use at $50.00 each.